Buffalo's "Limbo Queen" has found her king, and it's the most romantic story. 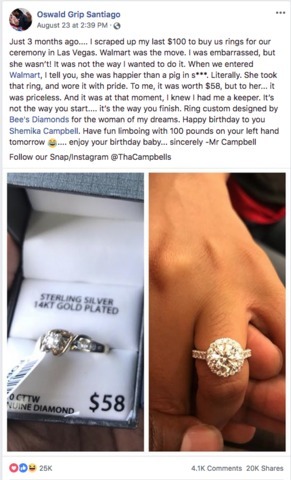 According to a post by her fiancee on Facebook, three months ago he could only afford to buy Shemika Campbell a $58 ring from Walmart. But Brandon said that didn't matter to Shemika, she was happy with what the ring symbolized and the future they would share together. That's when Brandon said he knew, "I had me a keeper." 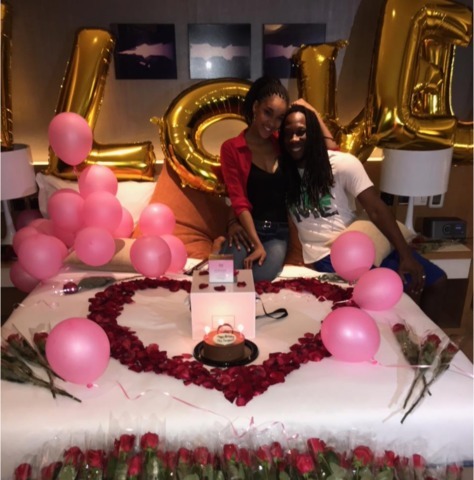 But, a surprise was to come, several weeks later, on Shemika's birthday, Brandon was able to surprise his love with a custom designed ring. It came with the message, "have fun limboing with 100 pounds on your left hand." Shemika Campbell is known across the country as, "The Limbo Queen," showing off her amazing skill and flexibility on the national stage.